I can’t even begin to explain how much it kills me when someone tells me they are unhappy with their skin! I know how it feels–I used to get some terrible breakouts and I never wanted to leave the house! Recently on a shoot, one of the stylist, who was absolutely gorgeous, told me she had noticed a sudden appearance of hyperpigmentation on her face. This is very common and happens as a result of sun exposure, age, diet as well as pregnancy and hormonal imbalances. While it’s always a great idea to find the root of the problem, there are products out there to help boot spots and reveal radiant skin! Now, I haven’t personally tried this product, but I have had literally, nearly a dozen girls email me about how much they loved this product! Since I hadn’t tried it I was a bit weary, after all I am your guinea pig! After doing a bit of research I found that it has won best of beauty awards for 2010 from Allure Magazine as well as Marie Claire. After reading consumer reviews, this product seems to do what it says! It helps with any type of skin imperfections including hyperpigmentation, sun spots, aging spots, as well as acne scars! Most reviewers actually said, it helped make them look young again! All that from a little jar?! Pretty impressive! I recommend contacting your dermatologist as well as your gynecologist to find the root cause of any spots or rough patches on your skin. It’s important to stop more from forming if possible and then treat accordingly! Hi Huda , thank you so much for your tomato treatment. Can you suggest some glycolic pads/peels that helps to fade hyperpigmantation ? 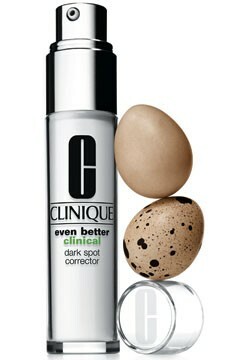 also any reviews about kielhs dark spot corrector. I have a fair complexion and these dark spots really ruin my look..your help is needed darling. Huda baby do you know any about Mitho light therapy for dark spots in the face?! your tomato mask works wonder! just so you know, mixing oats and a little drizzle of honey into the tomato mask works wonders! the oats can moisturize and brighten up your complection + the honey helps the acid in the tomato (AHA acids) soak into your skin faster and help renewal of cells quicken up (if you have any acne scars or dark spots) you should give it a try twice a week, won’t regret it! oooh, i just commented on the FB link. Anyways, i don’t recommend it either. Like i said, i got weird tiny little white spots….they weren’t alot or that visible but i noticed their appearance after i used it. I used this product as directed, it actually broke me out more, hince leaving even MORE acne scaring. Don’t believe the hype. Philosophy’s Purity face cleanser….actually lessens the appearance of pores after washing. Estee Lauder Idealist is recommended as well. Although, I”m using it regularly now for a couple of days now so I’ll let you know more soon. Read online reviews of people who’ve used it to give you an overall idea about the product….it’s what i do before i splurge on anything.